AudioBook Ministries made a stop at the Seattle Southside Chamber of Commerce's Monthly mixer and heard the latest from Jim Peterson, the Port of Seattle’s Senior Manager of Customer Experience and Communications. The AudioBook Ministries staff met Jim and we learned about the efforts, both seen and unseen, what his department is spearheading to make the publics visit through Sea-Tac Airport a positive, seamless travel experience. 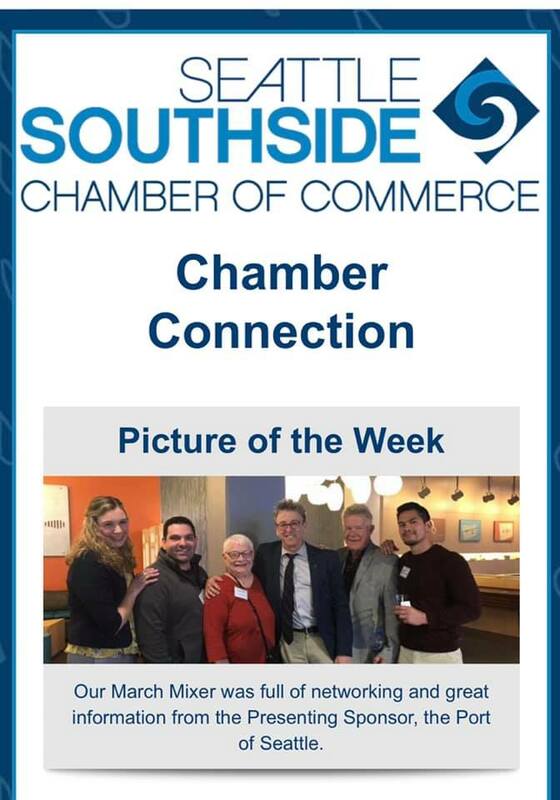 AudioBook Ministries is proud to be a member of the Seattle Southside Chamber of Commerce. We love attending the monthly mixers where we get to meet new people and make friends. Thank you to Seattle Southside for making this their photo of the week.